There are 29 association hotels participating in these Fall Offers, which include discounts of up to 60% as well as other incentives. 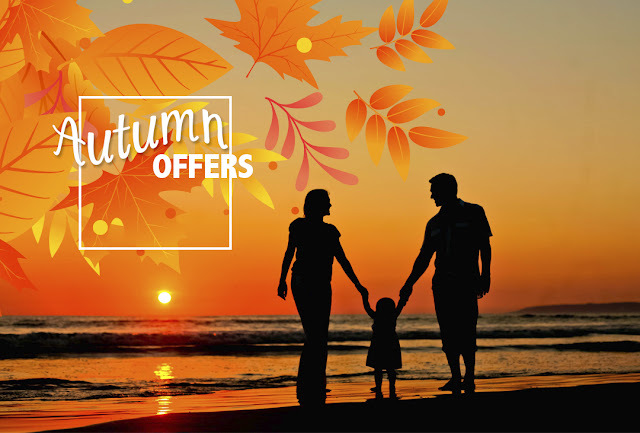 The Riviera Nayarit Convention and Visitors Bureau (CVB) and the Bahía de Banderas Hotel and Motel Association (AHMBB) invite the public to take advantage of the #OfertasdeOtoño (#FallOffers) that begin September 20 and end November 15, 2018. The purpose of these seasonal promos is to incentivize the arrival of both foreign and domestic tourists with discounts of up to 60% in different association hotels. This year there are 29 participating hotels in the areas of Nuevo Vallarta, Bucerías, La Cruz de Huanacaxtle, Punta de Mita, Punta Mita and Rincón de Guayabitos. The properties are not only offering direct discounts but also promotions that include affordable rates starting at $99 USD and up to three kids’ free when sharing their parent’s room; free calls to the US and Canada; spa credit; free WiFi; category upgrade (subject to availability); and free babysitting service for 8 hours with a minimum stay of 5 nights. It’s important to point out not all hotels offer the same benefits. Other promos include boutique discounts, golf and resort credit, late checkout (subject to availability); kids’ club; 18-hole par 72 golf course; gas vouchers (minimum two-night stay, one voucher per villa per stay); open bar with domestic and international brands; and recreational activities. “There are more and more association hotels participating in the promos and there are better discounts and incentives being offered to travelers, which motivates us to continue to implement these strategies for our visitors,” said Marc Murphy, general manager of the Bahía de Banderas Hotel and Motel Association (AHMBB) and the Riviera Nayarit Convention and Visitors Bureau (CVB). Nuevo Vallarta and Flamingos: Dreams Villamagna, Marina Banderas Suites, Grand Velas Riviera Nayarit, Hard Rock Hotel Vallarta, Hotel Las Palomas, Marival Residences, Marival Resort, Occidental Nuevo Vallarta, Paradise Village, Ocean Breeze, Riu Jalisco, Riu Palace, Riu Vallarta, Samba Vallarta, Villa del Palmar Flamingos, Villa La Estancia, Villa Varadero. The Riviera Nayarit Convention and Visitors Bureau (CVB) and the Bahía de Banderas Hotel and Motel Association (AHMBB) continue to work together to market the region, strengthening its promotion and helping position the destination on the map with the support of the Government of the State of Nayarit via the Tourism Promotion Trust (Fiprotur).